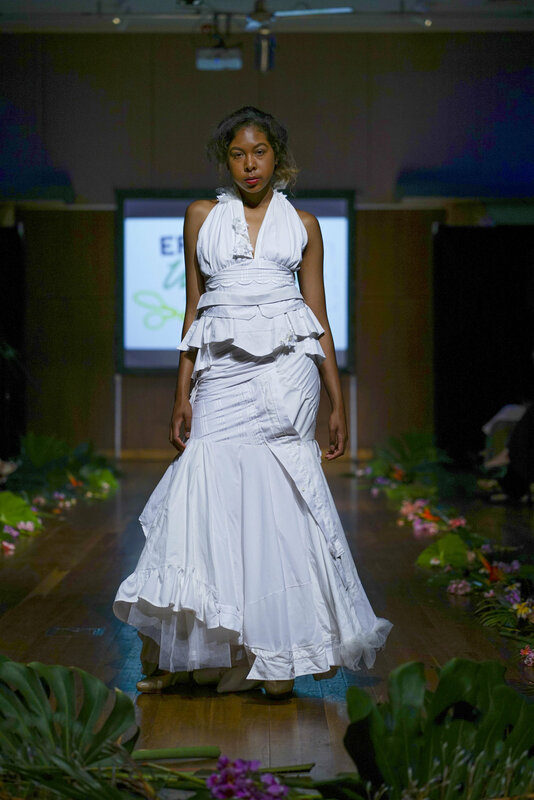 Day one of Eco Fashion Week Australia kicked off on Sunday 4th November in the town of Port Douglas, Tropical North Queensland. 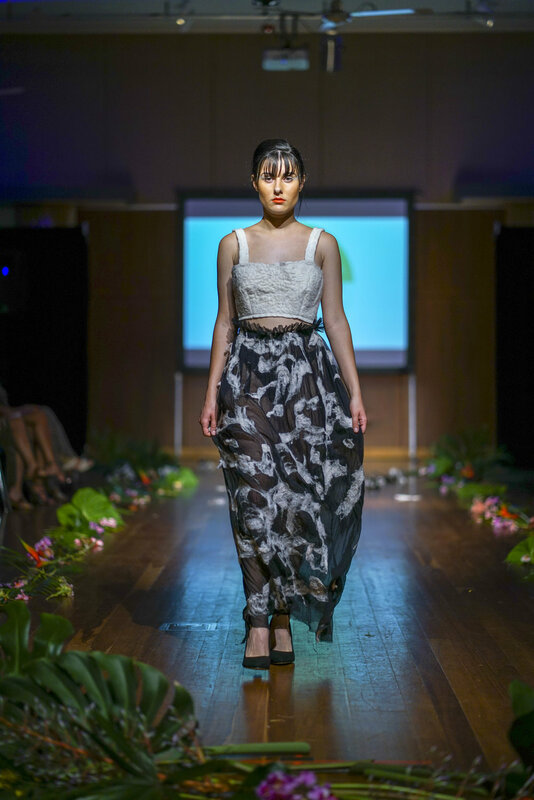 In its second year now, the Port Douglas addition launched the 2018 event to express and communicate that fashion and nature are one. Port Douglas is uniquely located between the Great Barrier Reef - the largest living thing on Earth and the Daintree Rainforest, a tourism spot perfect for educating locals and passers by on sustainability, conservation and fashion. 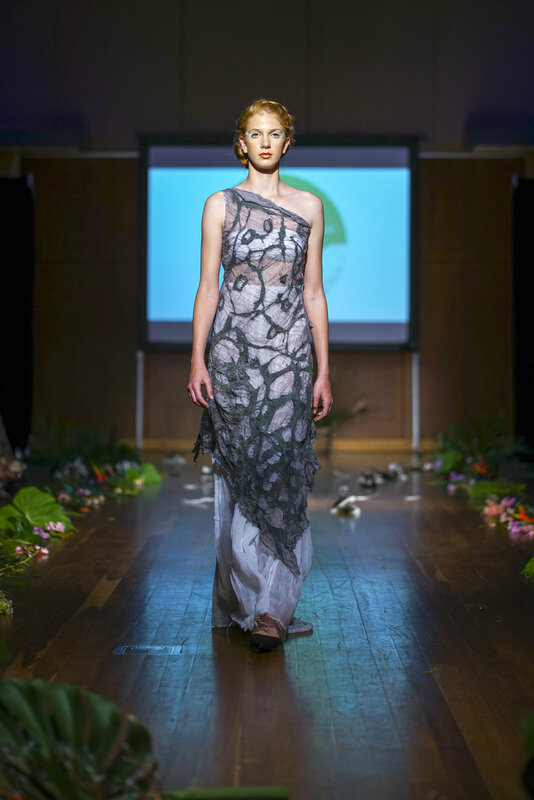 This was the core mission and philosophy for Eco Fashion Week Australia founder, Zuhal Kuvan Mills who worked and collaborated closely with the Douglas Shire Council to spread this important and timely message to the North QLD community, known for it’s appreciation of nature and eco tourism. 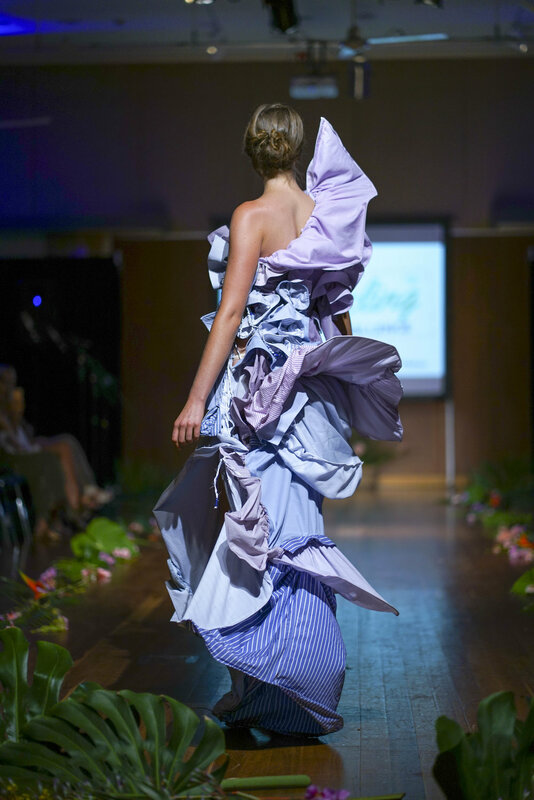 On the first Gala Night showcase, the wooden floors of the local Port Douglas community Hall were adorned with pink flowers and lush greenery setting the scene of the tropical outdoors and formed the framing of the official catwalk. 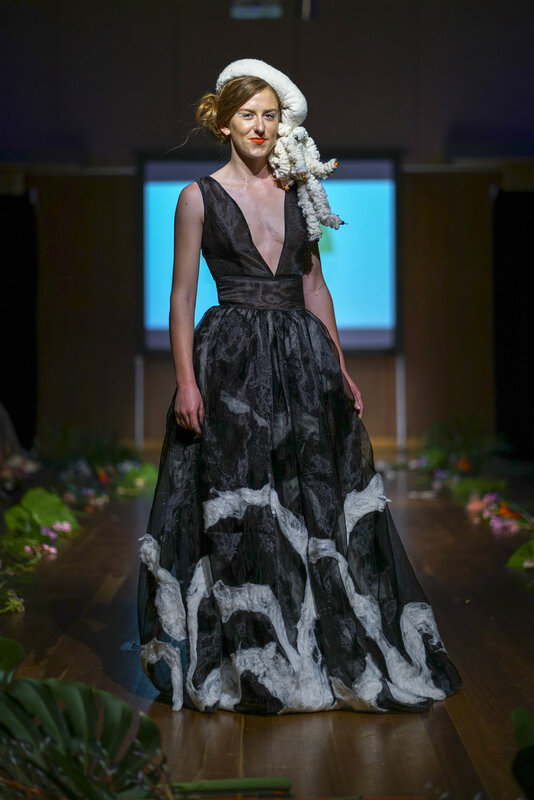 Throughout the night, each designer appeared on the runway with one piece from their collection as a teaser for the audience of what was to come throughout the week. 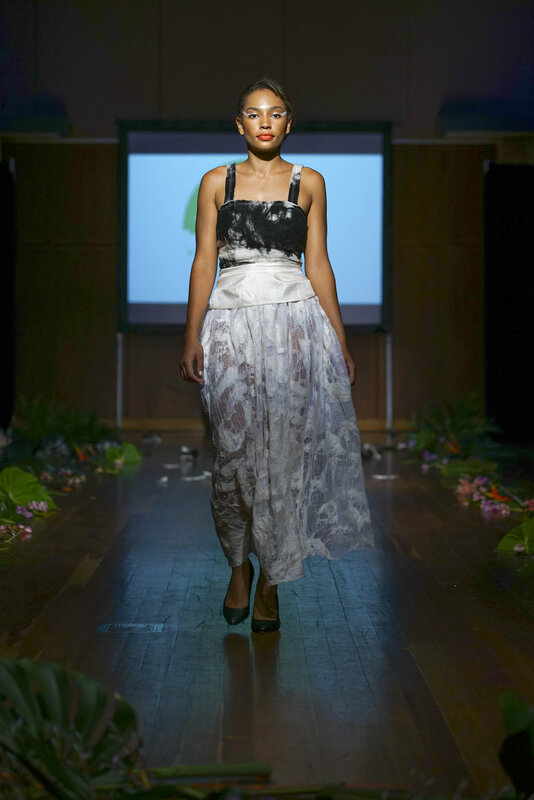 The highlights of the evening were the Up-cycling challenge curated by Marilyn Wilson and the finale show, from haute couture artisan label Green Embassy - designed by Eco Fashion Week Australia founder, Zuhal Kuvan Mills. Papa Drew & ATHAN JON a.k.a Jonathan Pampling who worked on one garment with purple, lavender and blue hues with ruffles and volume. 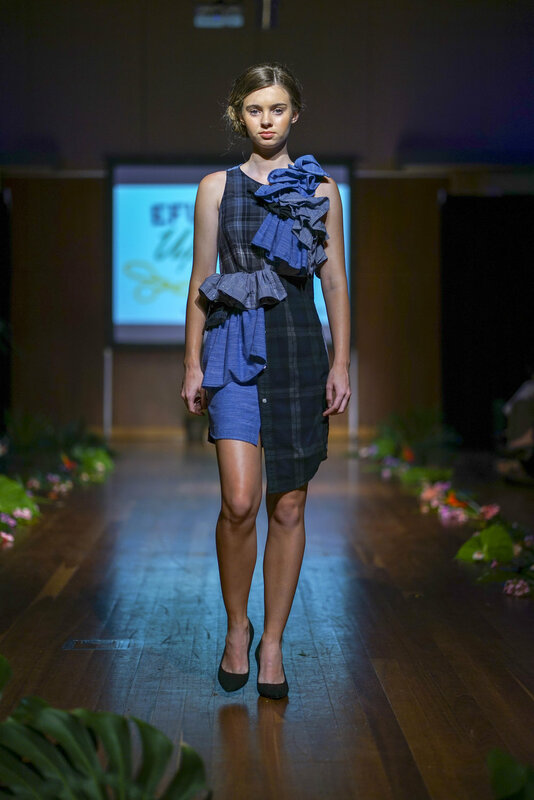 Anne Ruggieri of KOLIBRI (Melbourne, Australia) who focussed on using tartan and denim and Carmel Ryan (Alice Springs, Australia) with who worked on creating a white dress with a full skirt, reminiscent of a 50’s ball gown. 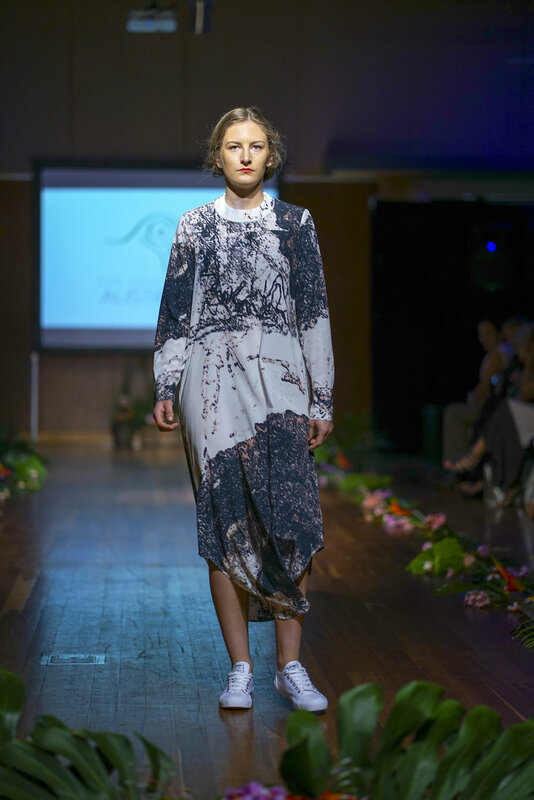 The evening gave you the chance to preview some of the finest craftsmanship and design on an Australian runway, strictly showcasing only designers with ethical and sustainable practises. 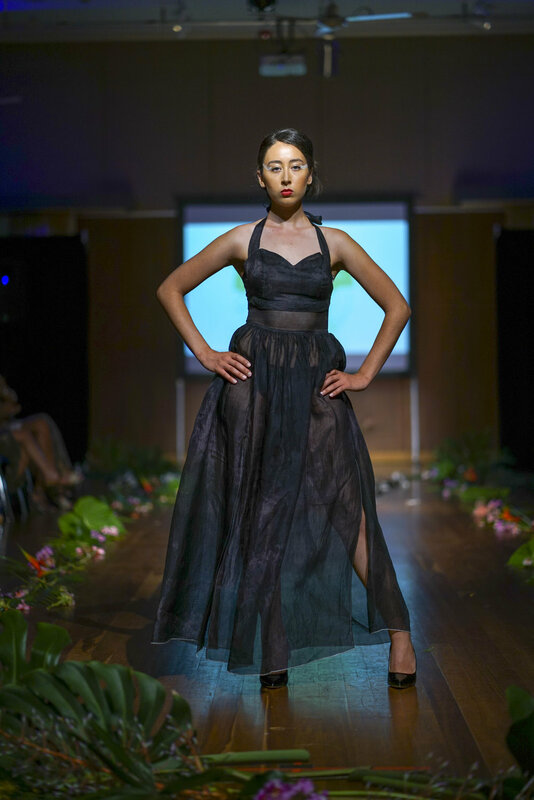 Not only were the pieces and collections themselves of the highest quality and technique, but the calibre of talent on the runway and behind the scenes were right on par, too - with a mix of talent strutting down the runway.